Inked by Evans Gift Card, Drum Head from Evans. 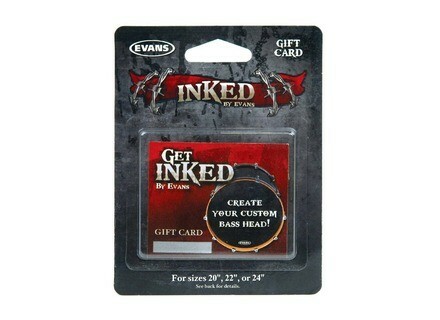 Evans Drumheads announces the Inked by Evans gift card, to give a drummer a custom bass drumhead. 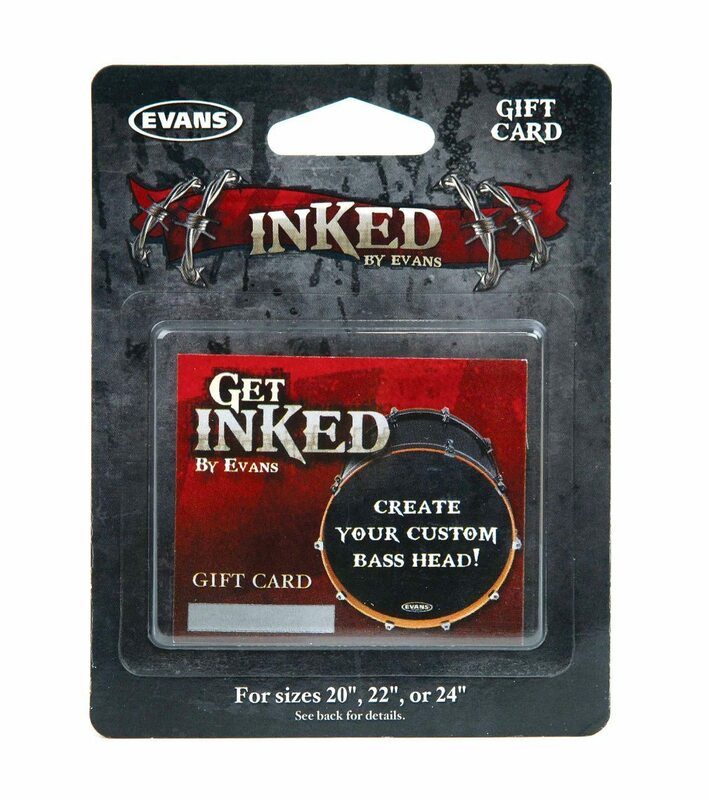 The Inked by Evans gift card is good for one bass drum head (size 20”, 22” or 24”) with custom, gallery or showcase graphics applied directly to the head. An optional microphone port with an EMAD resonant ring is also covered by the card. The cost of the gift card is less than the standard cost of an Inked by Evans drumhead online. The recipient can complete a 3-step ordering process. Go to www.inkedbyevans.com and enter the code on the front of the enclosed card, upload artwork or choose one of Evans’ designs, and submit the order. For more information on Evans Drumheads, visit www.evansdrumheads.com. For more information on Inked by Evans, visit www.inkedbyevans.com. [NAMM] Evans Hybrid-S Marching Snare Batter Evans announces the new Hybrid-S Marching Snare Batter. [NAMM] Gen16 Acoustic Electric Cymbal With its launch at NAMM, Gen16 is introducing the AE (Acoustic Electric) Cymbal.